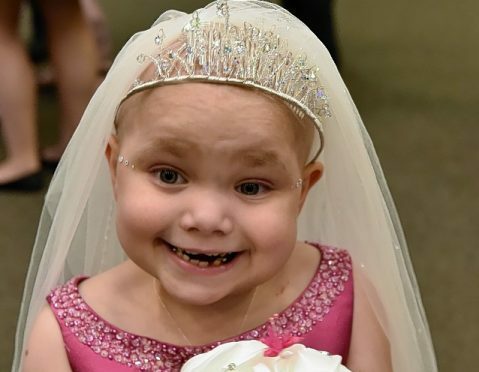 The family of a Moray youngster, who inspired people across the globe during her battle with cancer, have established a charity in her name. During Eileidh Paterson’s fight against the disease, her loved ones regularly spent time away from home with the youngster while she received treatment. And now, her mother Gail, who lives in Forres, wants to open a residential complex for families going through similar struggles in memory of her daughter, who died in July, aged just five. The Eileidh Rose Rainbow Trust has been formed to help channel funds into two projects. The first is to create a “home from home”, known as Eileidh Rose House, for families whose children have died. After Eileidh’s condition was declared terminal, there was space on the hospital ward for her mother to stay until the funeral. However, such accommodations cannot always be made. Ms Paterson said: “From the day Eileidh was born and throughout every hospital stay, she had never been on her own – I most certainly did not want that to be the first time she would be on her own. The vision for Eileidh Rose House includes four separate homes with a shared area for families to interact. In every house, there will be a bedroom set aside for the deceased, which would be open for funeral directors to make preparations. The second arm of the charity has been entitled The Puddles Project – inspired by Eileidh’s love of splashing in water. The aim of the initiative is to focus on childhood cancer by helping parents access information and funding research. A fundraising drive has been started to raise £5,000 for the trust to become a registered charity. Ms Paterson added: “When we were told Eileidh was terminal, our options were that she could pass at home, in hospital or at a children’s hospice in Kinross, which is hundreds of miles away.